Are you sick and tired of looking at the filthy window that is all the way up there? Do you have bird droppings on your skylights? Before you try and balance a stepladder on a chair on a table, here are some helpful tips that might be able to help you to clean those pesky windows without breaking an arm. Cleaning windows is worth the effort. Even if you don’t notice those dirty marks on your high windows every time you walk past them, your visitors will! You only get one chance to make a first impression, so don’t let your filthy windows give a bad impression. It is often only after you clean your windows that you realise how much a difference it makes when they are cleaned. Important – Never risk your life for clean windows. You should only commence window cleaning if you have the appropriate personal protective equipment. Analyse the potential risks and hazards before you proceed. If you can not safely clean your windows, engage the services of a professional Sydney window cleaner to complete the job. Option 1 – Can You Remove The Window? A lot of apartment owners in Sydney are perplexed at how to clean their sliding windows. On first impression, it can seem as though only one half of the sliding windows can be cleaned. You can slide the window to one side so you can reach out and clean one half, but how are you meant to clean the other half? Easy, if you know what to do. Remove the window from the frame, bring the window inside, clean it then replace it back in the frame. Have a towel ready to rest the window on so that you do not damage the floor. For most windows, you just need to push the window up in the top track, the bottom edge of the window will then be able to be slid out past the bottom track and you can slide the window out. Just reverse the process to reinstall the window into the frame. This is not a cheap option, but it will allow you to clean any hard to reach windows in your property. A simple tip for choosing the right window cleaning pole is to identify the height of the windows you want to clean, then choosing a pole that is a few feet longer. Note that you do not want to choose a pole just one foot longer as the pole loses strength and stability and you will have less control when it is at maximum length. 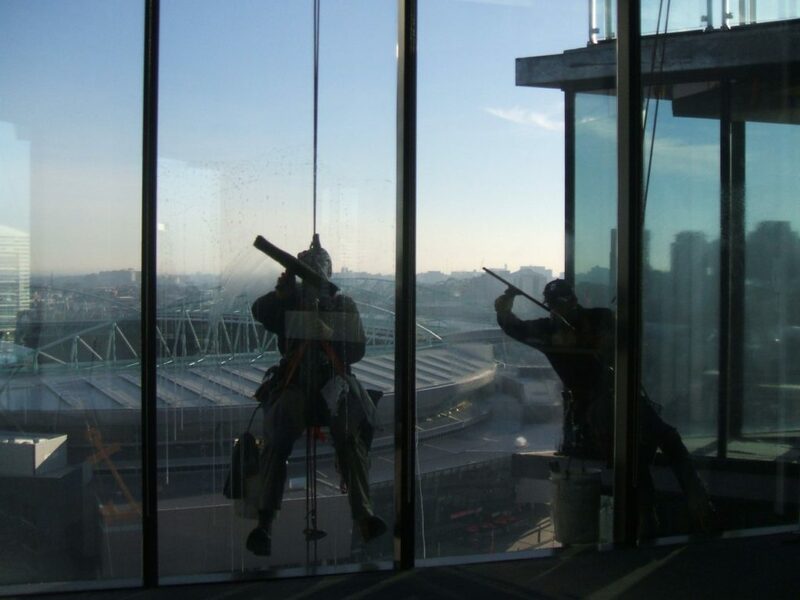 So what type of window cleaning pole should you buy? If you already have a squeegee and washer then it is worthwhile buying a pole that is the same brand to ensure that the connections fit. Here are some of the most popular telescopic window cleaning poles used by professional window cleaners in Sydney. Ettore REA-C-H Extension Pole – With a rigid construction and a fluted gold anodised pole, you will look the part with this light-weight extension pole. One of the more affordable options and is best suited to regular commercial window cleaning. Unger Optiloc Extension Pole – The industry leader. Most professional window cleaners in the Greater Sydney region will either be using an Unger pole or at least have one in their work vehicle. Locks and loosens in half a turn which means you can clean quicker and get better results. The anodised extruded aluminium construction ensures these extension poles are lightweight and strong. One of the more expensive options on the market, but you get what you pay for. Twin-Angle Adaptors – Connect both a squeegee and a washer onto the one pole with a twin-angle adaptor. Ideal for hard to reach jobs where it takes a lot of effort to raise and lower the pole, a twin-angle adaptor can take a lot of stress out of the task. Note that for each of these poles you will also need to purchase a squeegee and washer that fits with the pole. Sydney has a lot of good window cleaning supply stores that stock a complete range of products. Generally, the staff are very friendly and will be able to answer your questions and assist you. Take some photos of the windows that you want to clean and they will be able to identify the best products for your requirements and budget. 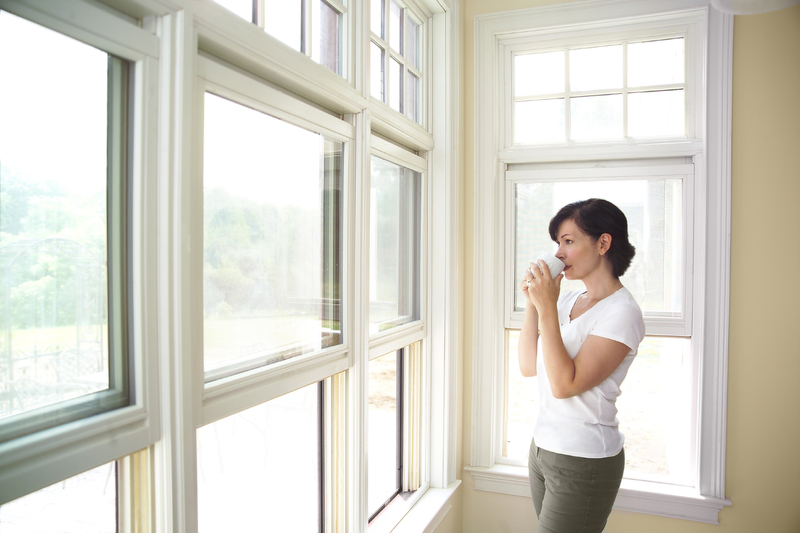 Be sure to measure the height of the windows to ensure you get the right dimensions for your project. When using a telescopic window cleaning pole ensure that you can position yourself so that you can apply firm pressure with the squeegee against the window. Start at the top of the window and work downwards. Make sure the window is thoroughly wet before you start to squeegee. Never use a window cleaning pole during an electrical storm. For the best results, clean the window while it is out of direct sunlight. Sometimes it is cheaper, safer and easier to just call a professional window cleaner. It can be very easy to break something when you are cleaning windows that are hard to access. Whether you push too hard on the squeegee and scratch the glass or drop the telescopic pole and break another window, accidents can happen easily and quickly. When you deal with a professional window cleaning company you can have the peace of mind knowing that they are fully insured. They have the equipment and experience to get the job done right the first time. As they use professional equipment they will also be able to provide stress-free finishes that will look cleaner for longer. How can you get cheaper window cleaning? If you are worried that employing the services of a window cleaning contractor will be too expensive there are some little tricks that can help. Clean all the windows you can easily access so that the window cleaners only have to clean the windows that you can not access. Obtain some no-obligation quotes from a few window cleaning companies so that you can compare and save. Read reviews online to make sure that the company does not have a reputation of adding extra fees and charges. Clean My Windows is a Sydney Window Cleaning company that is passionate about providing a professional and cost-effective service. With a massive base of satisfied customers, you can be certain that Clean My Windows will leave you with windows that are free of dirt, grime, bird droppings and stains. If you are sick and tired of filthy windows, give Clean My Windows a call and take the first step to spotless windows.